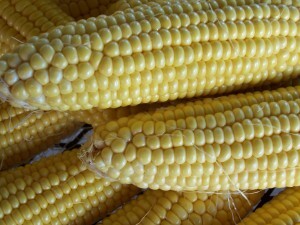 GMO foods in Africa increasingly include maize (corn), cassava, soy and imported wheat. While Mexico recently joined the ranks of nations across the globe to officially ban genetically modified (GM) foods, along with the European Union (EU), and as the state of Washington attempts to be the first in the USA to require food manufacturers to label food containing genetically modified organisms (GMOs) through Initiative 522, decisions on whether to follow suit have been split across Africa. Zimbabwe, Malawi and Mozambique have allowed imports of GM food aid in milled form only, to minimize the risk of germination of the whole grains and protect local varieties from contamination. Other African countries have taken more polar positions on the role of GM foods for food security. Zambia has held up a ban on transgenic food for a decade, with an aim to protect their agricultural environment. The country’s position, in the face of an impending food crisis and potentially looming malnutrition in 2002, was so unpopular in the west that the Washington Post quoted an American State Department employee who remarked in incredulity to the Zambia GM food ban, “beggars cannot be choosers.” Many in the west considered the south-central African nation’s position to be nothing more than political posturing while inexplicably denying its citizens food they desperately needed. Advocates of the country’s food policy saw it as necessary to protect the health of its citizens, environmental biodiversity, and the country’s trade relationship with the European Union, where GM food imports are banned. Zambia eventually weathered the uproar through a reliance on non-GM sustainable farming methods. There are countries in Africa who have welcomed GM crops, seeing benefits for food security, economic growth and development. Egypt introduced GMOs into the national food system, with some controversy. South Africa, the top GM food producer in Africa, commercially cultivates maize (corn), soya, potatoes, and cotton and exports to countries across the continent. Burkina Faso and Sudan also allow GM crops to be grown commercially, with Burkina Faso opting to engage in the growing of GM cotton, but not food for consumption. The Nigerian agricultural minister sees the use of GMOs in farming as an opportunity to boost the economy and be less beholden to imports. The neighboring nation of Ghana moved GM food policy forward by drafting the 2011 Biosafety Act, providing a framework for the introduction of GM foods. Hesitancy from grassroots stakeholders, civil society and academics on the perceived perils of allowing GM food into the African farming and nutritional ecosystem takes the form of concern for smallholder farmers, who are perceived as vulnerable in a GM seed mediated farming landscape, where local farmers may become beholden to foreign seed companies, lose autonomy in selecting the type of seed they would like to plant, have no rights to share or save seeds as they have done for generations, or be forced out of farming and the supply chain altogether by monoculture, an agricultural paradigm which has become emblematic of GM farming. Others cite health concerns including a 2012 study by the Journal of Food and Toxicology whereby mice who were fed GM corn or were exposed to accompanying herbicides developed tumors, liver and kidney damage. Concerns over such agricultural products’ potential to seep into the continent’s food system are historically based.